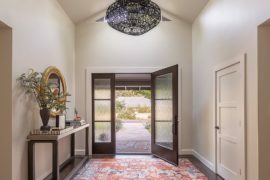 Nothing makes or breaks the look of an interior quite like lighting, and often it is a perfect blend of natural and artificial illumination that transforms the ambiance of a room completely. 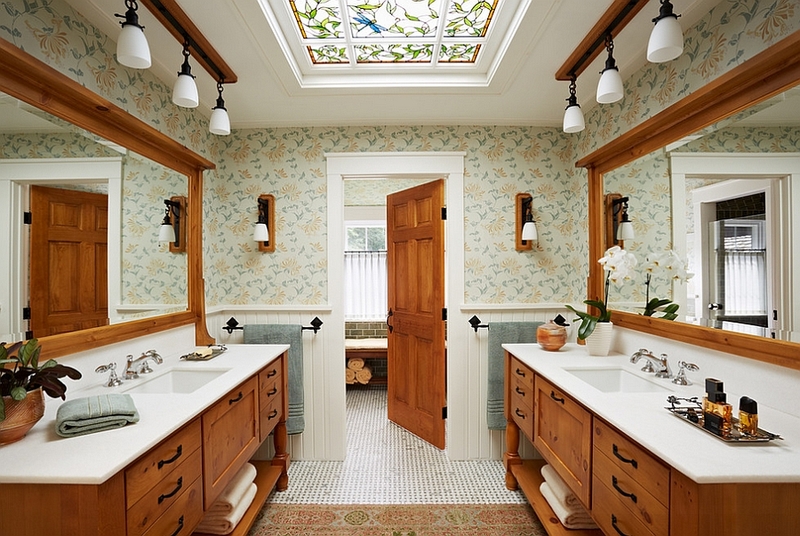 Beautiful lighting can turn that dull, dreary home into a cheerful, exciting space with a new lease on life. 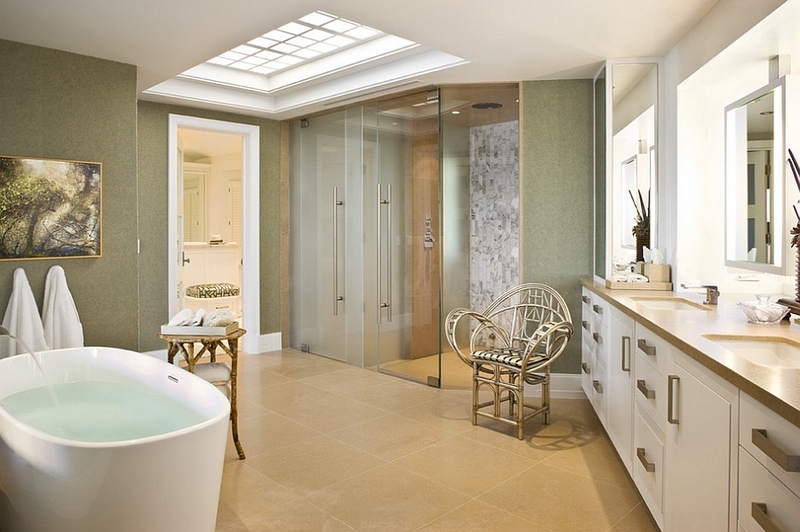 While a smart combination of recessed and focused lighting often gets this accomplished in most rooms, natural light elevates this bright, airy look to a whole new level. 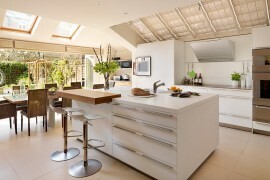 And few additions bring a flood of natural light indoors like the skylight. 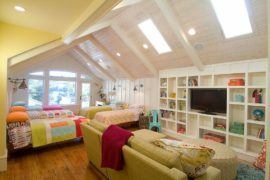 The last few years have seen the skylight move beyond the attic and make its presence felt in the conventional living room and even in imaginative bedrooms. 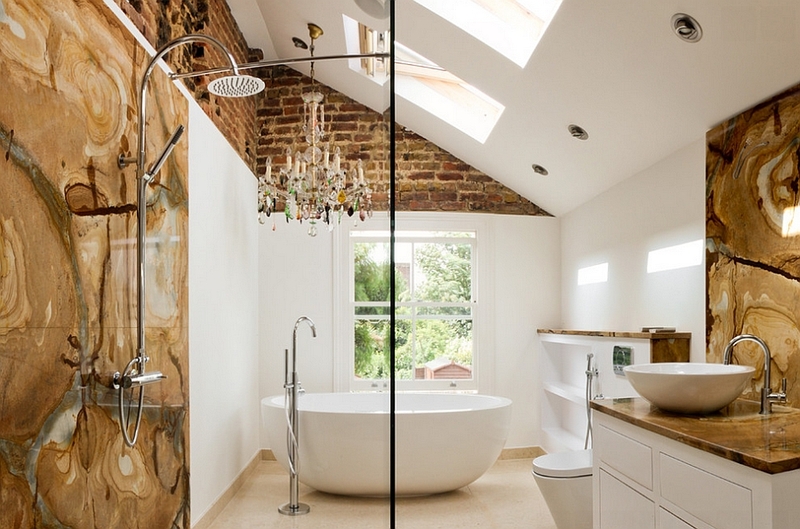 Today we take a look at bathrooms with skylights and how these ‘windows to the sky’ alter and enhance the beauty of your existing bathroom. 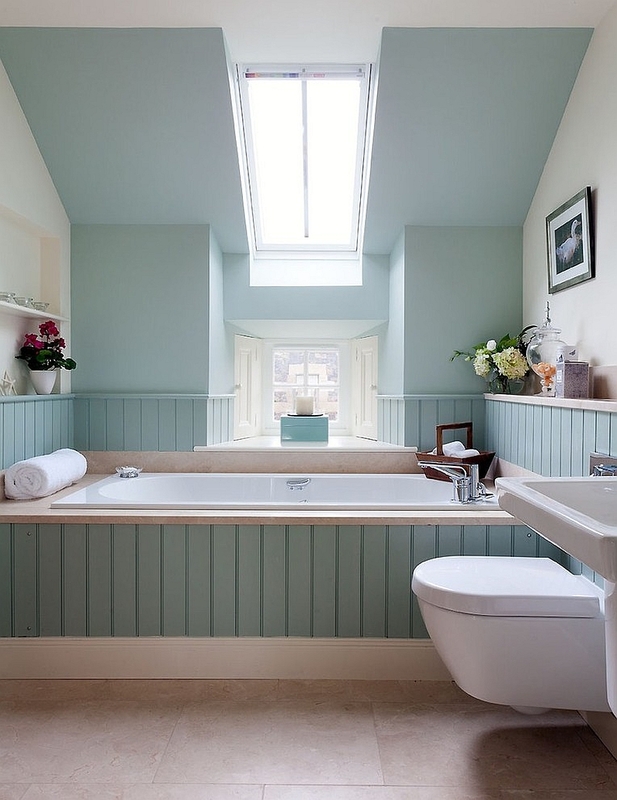 From the audacious to the practical, here are 23 stunning inspirations that might tempt you to take up a bathroom renovation pretty soon! 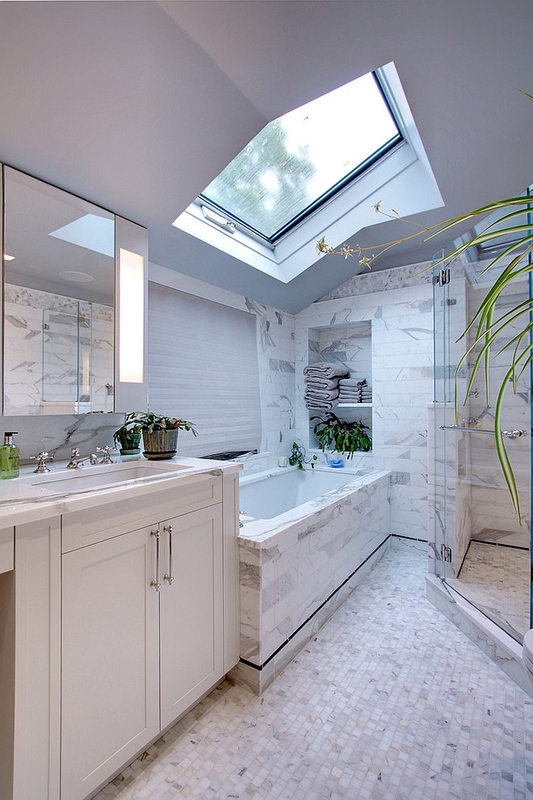 There is no doubt that skylights are often viewed as practical additions, but they can also be dramatic and captivating showstoppers that fill the room with a sense of excitement and architectural beauty. 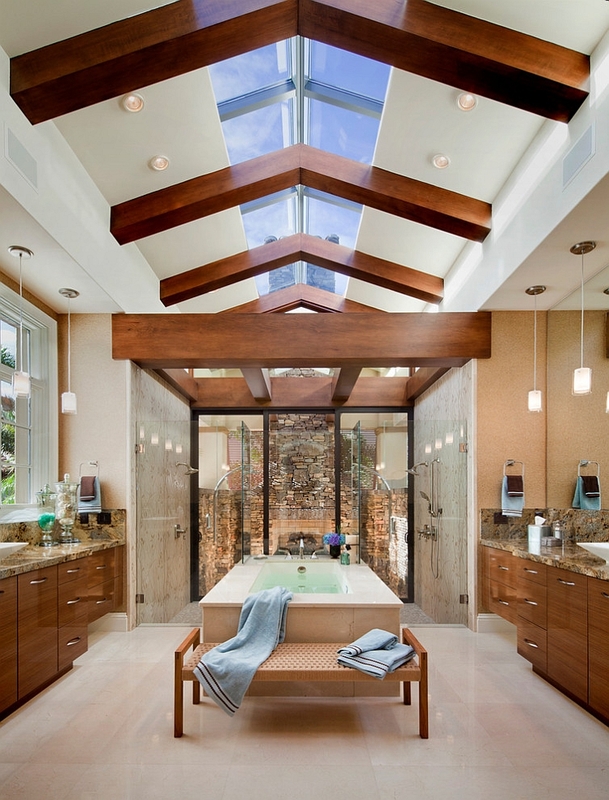 A skylight in the bathroom can add to the overall opulence of the room and accentuate the spa-style splendor that you are shooting for while bringing in the dynamic shades of sunset and the star-studded sky as you take a refreshing dip! 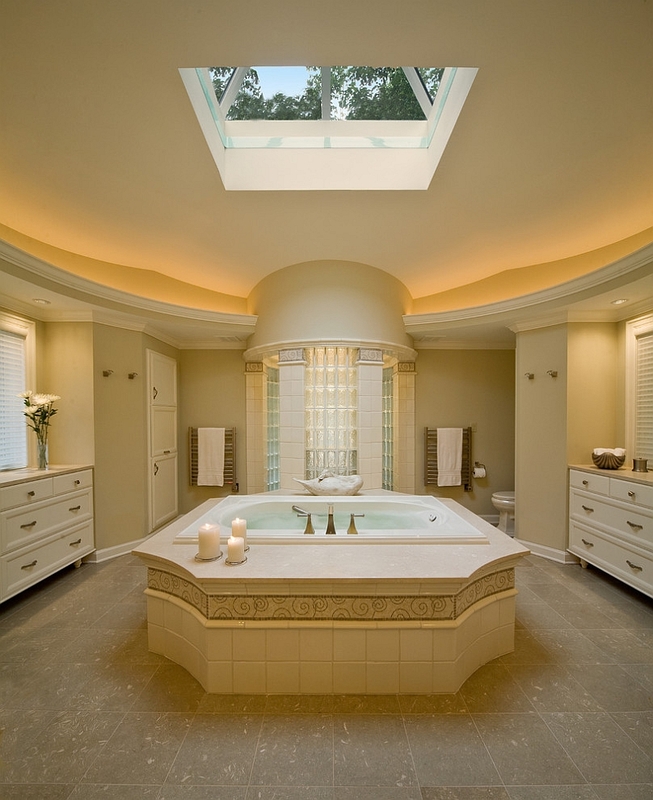 It is more the placement of the skylight and the design of the bathroom that shape this look of extravagance than the size of the skylight itself. So don’t assume that a large skylight is automatically a better option in this regard! 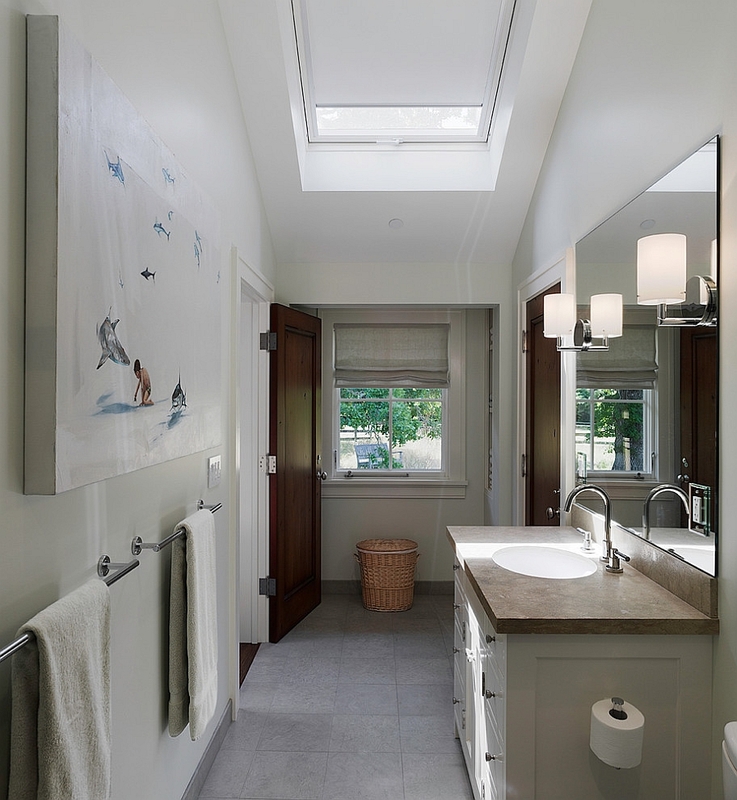 One of the biggest reasons for the growing popularity of skylights is the fact that they revamp the look of the room and highlight the necessary features without actually disturbing the theme or the style of the room. 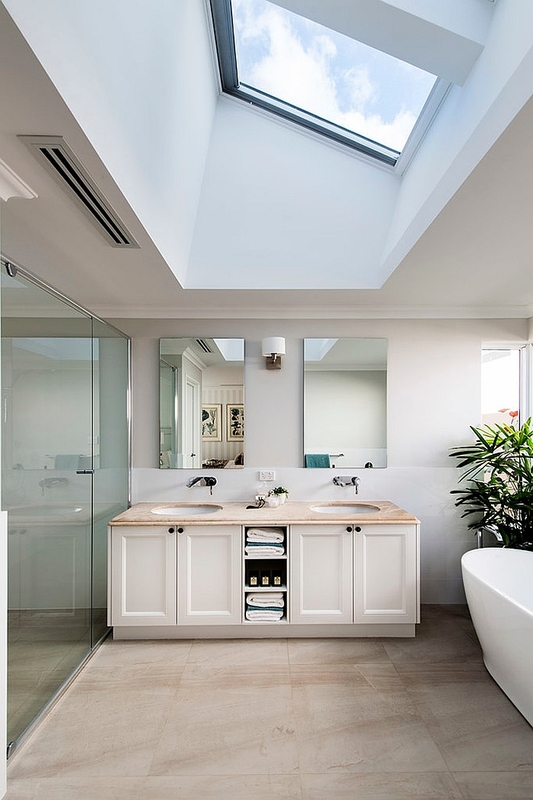 Skylights are pretty much windows that open up the roof towards the sky, and hence you will not have to worry about how well they fit in with the existing bathroom from an aesthetic perspective. 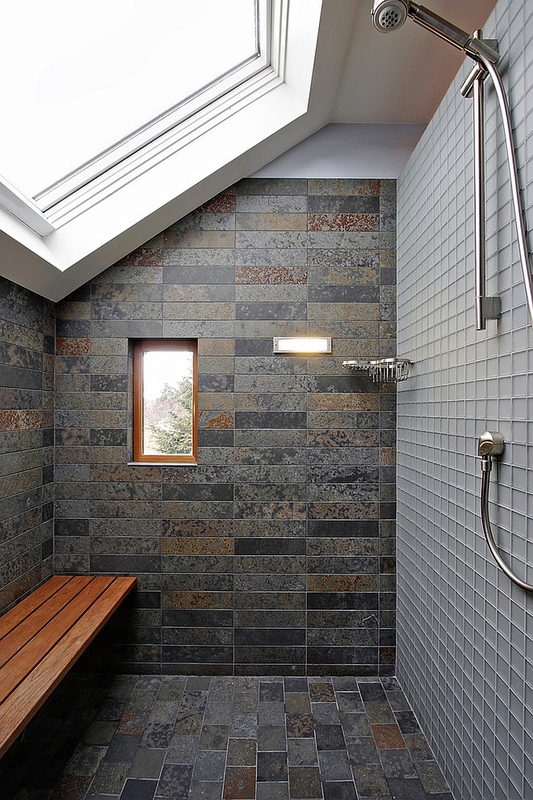 Most modern skylight trims can be custom-crafted to match the color scheme or the dominant material used in the bathroom, making them a natural extension of the space. 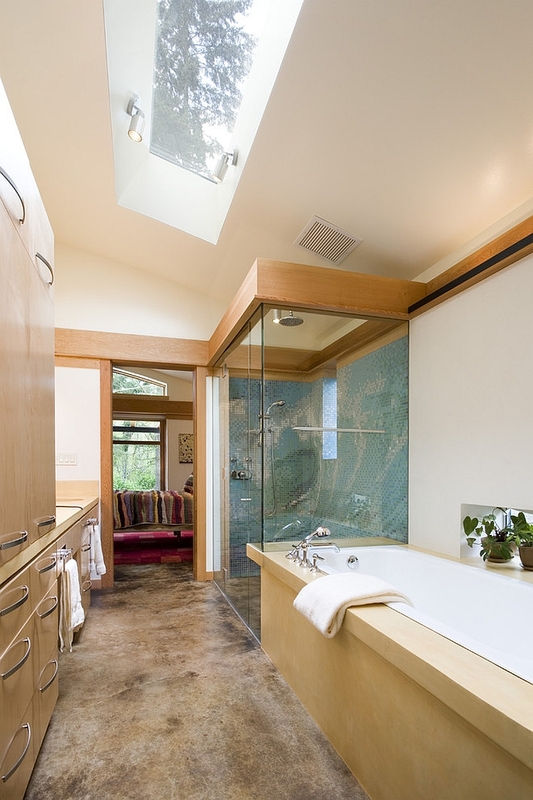 While a lot of homeowners worry about the condensation factor and insulation of the bathroom while using a skylight, the many modern versions ensure that you can easily control both of these elements. 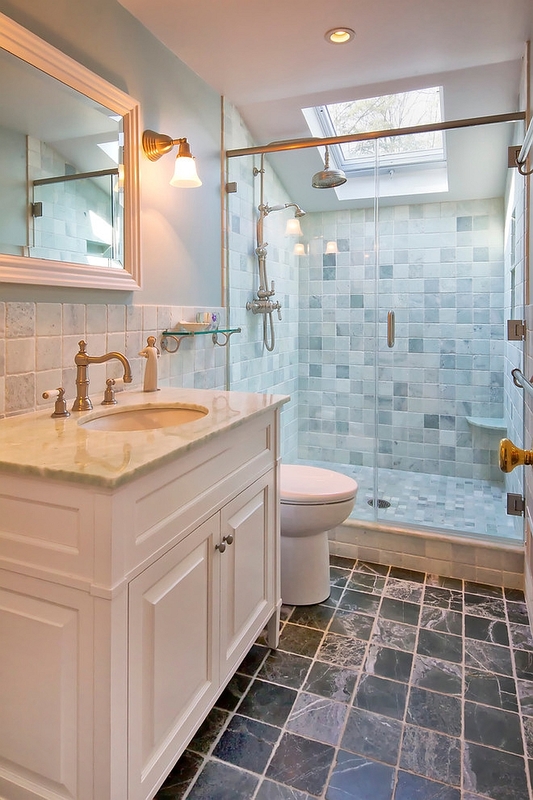 Experts suggest opting for fixed units instead of venting models, as they are less prone to leaks and repairs down the line. 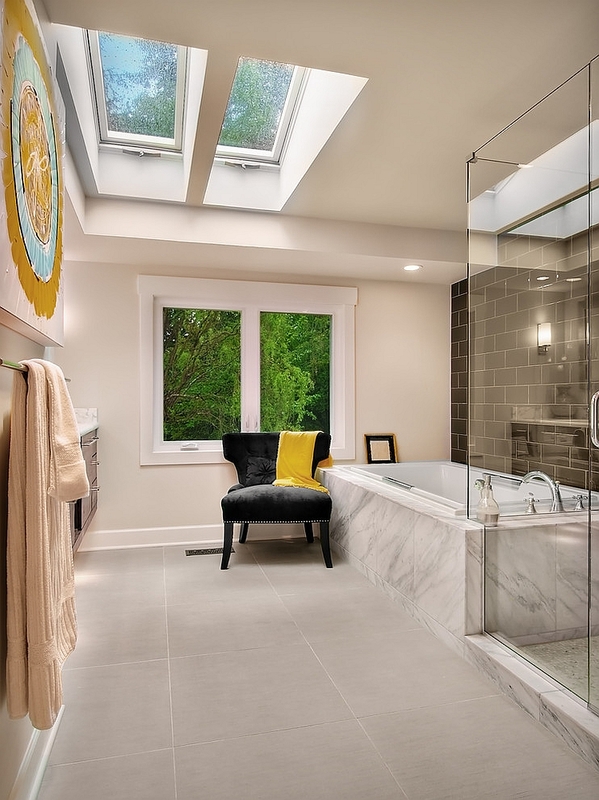 Much like in the case of windows, skylights are also rated for UV protection and thermal efficiency, and the better the rating, the more protection you get from the elements. 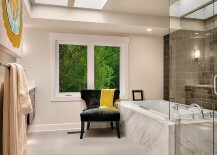 While grand bathrooms with expansive skylights often make up product brochures and magazine covers, the smaller units that light up the tiny bathrooms are the real workhorses. 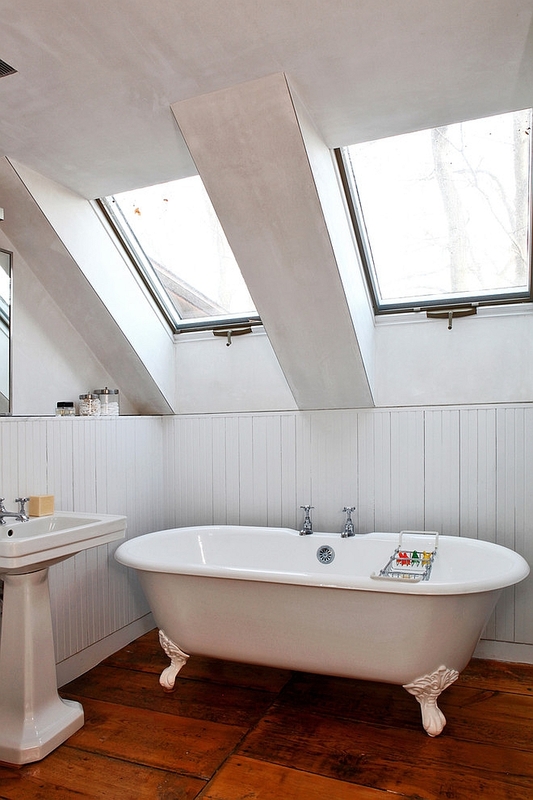 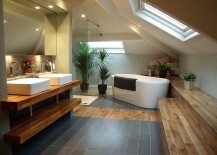 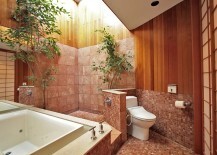 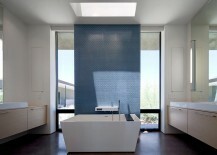 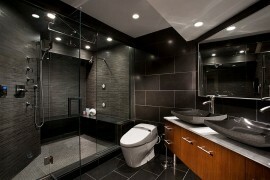 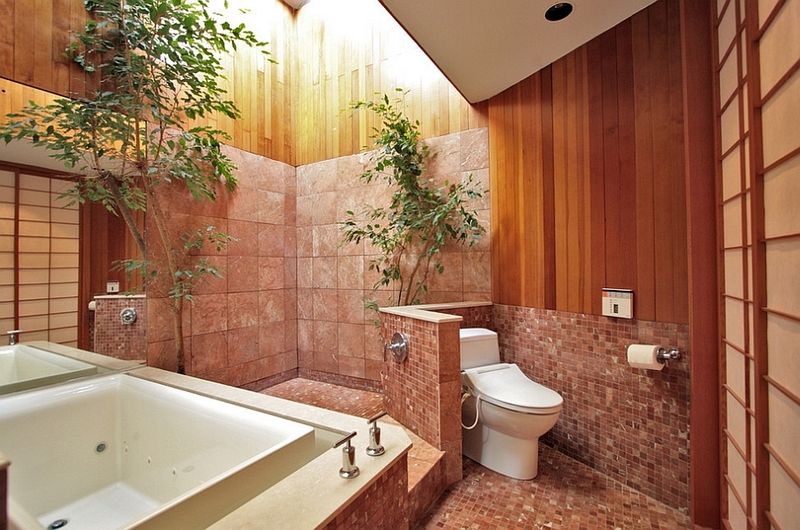 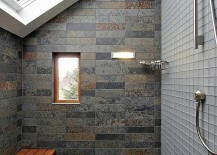 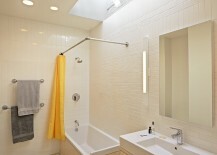 If you have a dark, small bathroom with no windows, a skylight is the best way to really enliven the place. 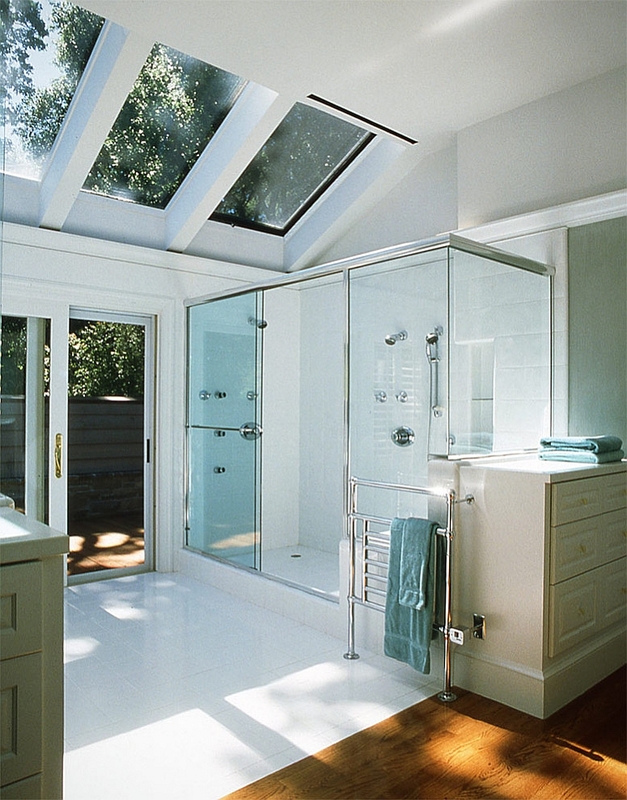 If a direct skylight is not possible, then at least explore the possibility of a tubular sun tunnel skylight to illuminate the small area. 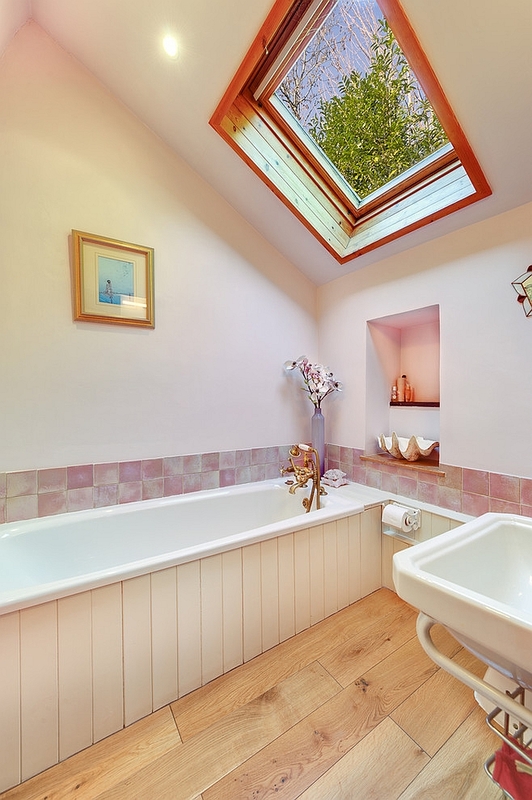 Remember that the skylight also makes the room appear a lot more visually airy, as it brings a part of the outdoors inside. 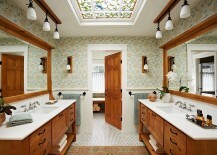 This is a benefit that simply no pendant or chandelier can offer! 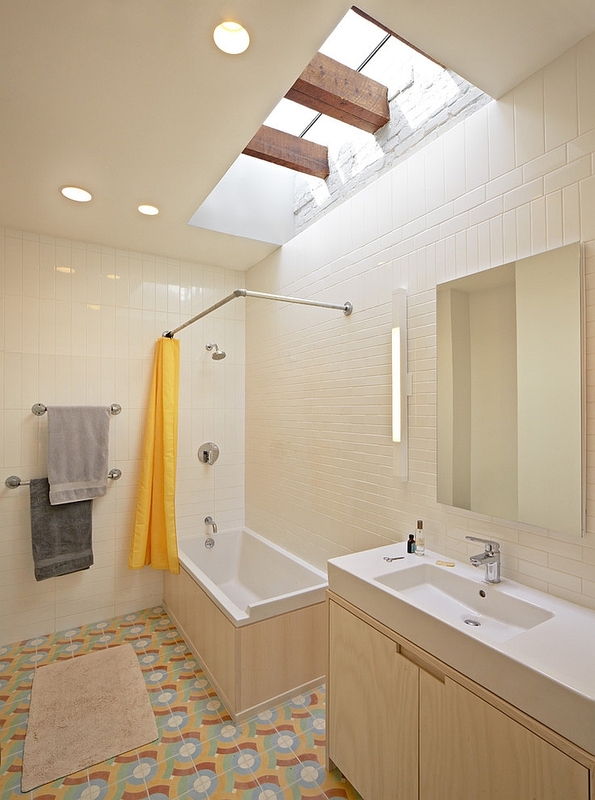 If you are planning on using a bold, dark shade in the bathroom or filling the tiny shower space with a splash of color, then a cleverly placed skylight can offset the visual impact with effortless ease. 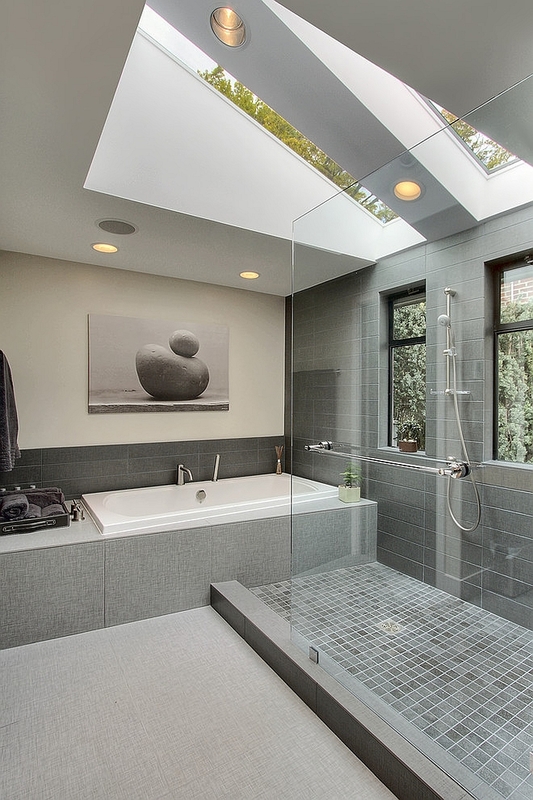 For those looking for additional options, contemporary retractable skylights that open or close with the touch of a button are also a great solution for the bathroom shower area.